14 Dec I Thought I was an Extrovert?!! 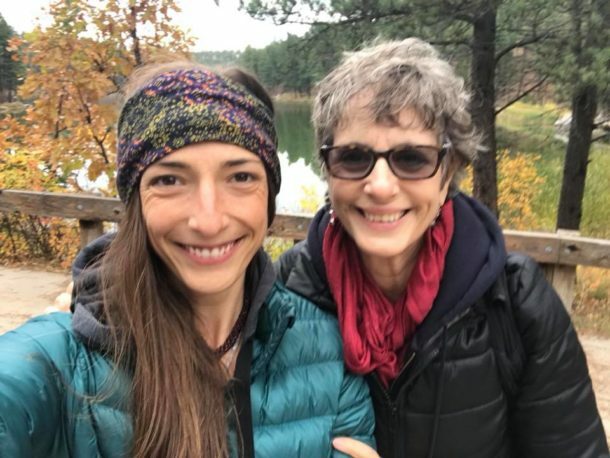 In October this year I had a huge and unexpected awakening at Cate Stillman’s YogaHealer retreat in South Dakota. 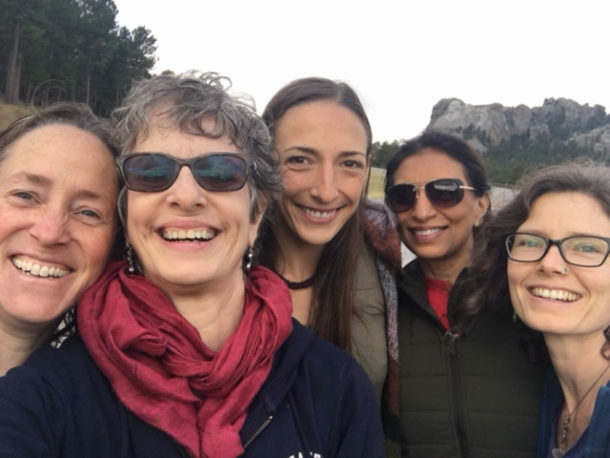 I came back from the amazing gathering in South Dakota with the Yoga Healer Tribe feeling empowered and completely torn open. My inner introvert came out of the closet. I haven’t seen her in years. I have been suppressing her for decades. The expressed ex-actress/ singer extrovert I have embodied for the past 50 years went into hiding. It was surreal! I remember my first opportunity to break out of my painful shyness. I was in the 8th grade. It was 1968. I was invited to perform at a talent show in front of the whole middle school. I was terrified! I took my guitar on stage and sang “As Tears Go By” by the Rolling Stones. I was a huge hit. People reacted to me differently after performing in that assembly. My mom was there and began to treat me with a bit more respect and recognition. I got the bug and wanted get back on stage. I became a folk musician and then an actress/singer. My deep desire to get that attention that I never got as a small kid eventually brought me to NYC where I pursued an acting career. This pivotal moment in middle school broke me out of a painful shell. 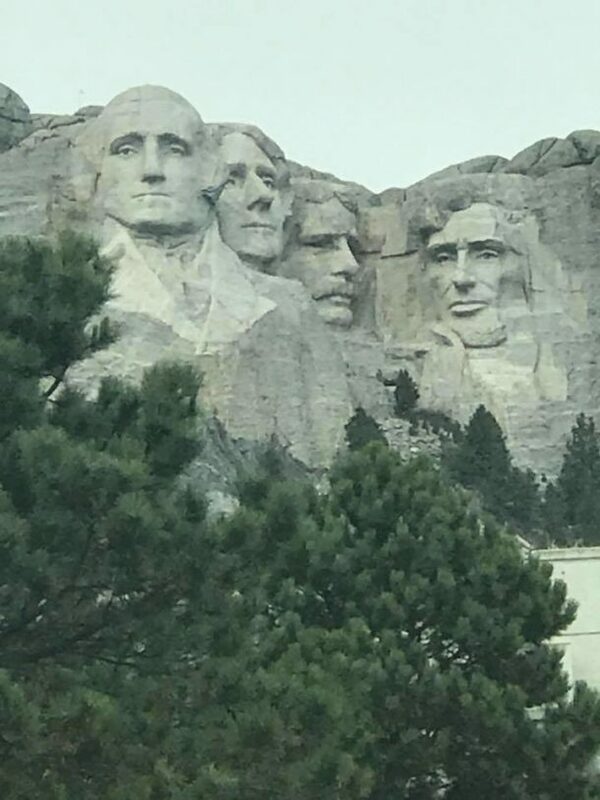 Here I was in South Dakota wanting to go back in. What the heck was going on? When I came back to NYC and went to my PT appointment, I found out that the woman that helped me to walk again after a painful bike injury was quitting her job and going on a huge year long adventure with her fiancé. I burst into tears. I am happy for her and realized something got punctured in her parting. The self directed, together, forward thinking, organized, goal oriented successful business woman was falling apart. Where was all this grief coming from? For the past year since my injury I have been in overdrive to achieve my goal. I am closer than ever to attaining it. Beth shared that she was so happy that I had come so far that she felt I was close to graduating from PT in the next couple of months! Om Namah Shivaya! Once I saw that I was nearing the end of my ordeal I was able to let my guard down. I have actually come close to achieving what I set out to do. I am now mostly walking without a limp, I am able to demonstrate a lot more in my yoga classes and do more yoga. I am back on my bike and definitely improving my strength and flexibility. I realized that I was overriding my emotions all those months to accomplish my goal … this phase was over! I began to let my guard down and start to process the trauma, the loss, the pain and fear that I was suppressing all those months. They were tears of relief and deep sadness the had been stored in my body for 12 months. It felt so good to let er rip! It is so interesting the timing of this. I was shocked to discover that my authentic voice in South Dakota was unleashing my inner introvert. Now that she has been outed I can be more myself in this amazing community of women. What a relief! If I want to be a star I can do that. If I want to stay in the background I can do that as well. I gave myself permission to be exactly where I was without judgment. There is no pressure to be anything more than I truly am. Again my PT has been such an amazing teacher in my life. I am beyond grateful for this journey. How can I be saying that about that near fatal accident that could have ended my career as a yoga instructor and put me on disability the rest of my life? It was the wake up call to my Authentic voice. May she come out in all her shyness, goofiness and sweetness. I am getting to like this part of myself more and more. Being in a tribe of like minded people who really get you and allow you to be who you are will give you the courage to face your inner demons. The place inside you that lies hidden behind the mask we show the world. This Radical Self Acceptance will help you find a hidden power. You will experience more confidence, more empowerment, more authenticity. When you tell the truth to yourself and others you become very peaceful and at home in your own skin. Cate Stillman’s Yoga Healer’s tribe is highly recommended. I feel so much love and support in this group and it is not competitive or catty! Whats UP with that?!! 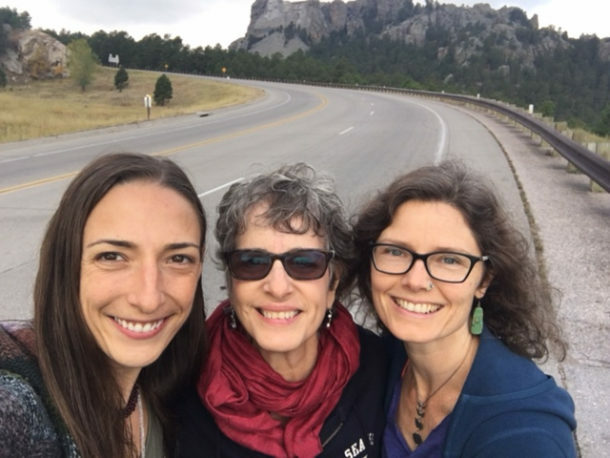 The vulnerability that came out in South Dakota in front of my colleagues was so surprising. I was peeling away a layer of my self image that I had manufactured 50 years ago. What was underneath was a part of me that was ok with my discomfort about being on stage. That was fine to not be the center of attention. That was comfortable stepping into a more support role than a starring role. That was happy to be in this great company. I was comparing myself to others. I was not particularly thrilled with not being able to go on daily hikes with the group. I wanted to share my talent as a gift to the group, but was not up to it physically or energetically. I felt that navigating my energy with my 3 roommates, the energy of the group and the long days was enough for this trip. Before the injury I haven’t especially felt “older.” I always feel young for my age. I went to a class reunion last summer before my accident and was in much better health than my contemporaries with a few exceptions. In Cate’s community there are elders but there are also a great gathering of Millennials! I love the diversity and intergenerational nature of this group. I am inspired by all these amazing women. I am OK as I am. When I see the fullness of who I am and what I did to break out of that shell and where it took me in my life, I am so grateful for my courage and sense of adventure. I look what this shy little introvert has accomplished and I am dumbfounded! What I want everyone to know is whatever you have been hiding from the world whether it be some secret persona like me or a place inside you that doesn’t feel safe, if you surround yourself with the right tribe, they will encourage you to be yourself. In that coming out you will find your own Authentic voice. It will empower you. I invite you to find your tribe. It is well worth the journey. Join a conscious community. Ask to join the Vibrant Grace-filled Warrior’s Tribe on Facebook (a facebook group I monitor and contribute to every week) Participate!. If you feel like being alone, ask for alone time from your partner, kids, family members. Take some time to journal, meditate, walk in nature. Enjoy the stillness. Set boundaries. When you are in the mood to step forward accept that this is a part of you. Acceptance is a daily practice. Journal your tendency to judge yourself. Each step along the way is here to help us awaken. When an obstacle arises notice your reaction. Do you want to hide? Face your inner demons of unworthiness head on. Develop strategies to help through life’s challenges. You don’t have to sacrifice your personal power because you feel drawn to being quiet and in the background. 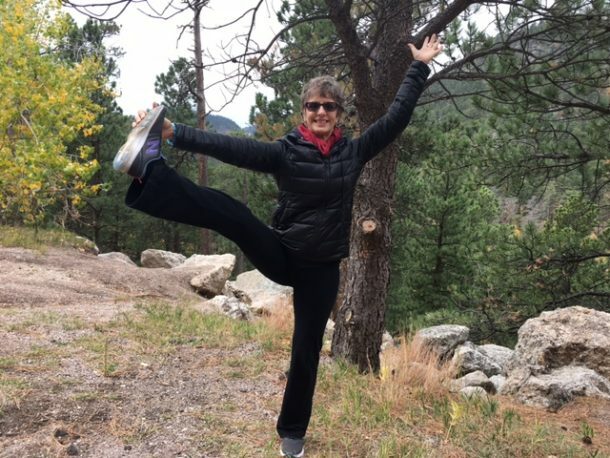 You can also join Jackie for her next Body Evolves, Yoga Health Coaching course, January 2018. 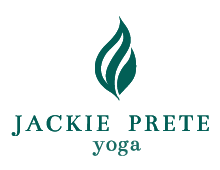 Jackie is also co-lead a yoga retreat Empower your Life Vision with Tiffany Wood Thanksgiving weekend November 24-26 at Kripalu. Jackie is also presenting workshops at Samavesha in Mexico March 1-4.2018 , the next Anusara Yoga Gathering.